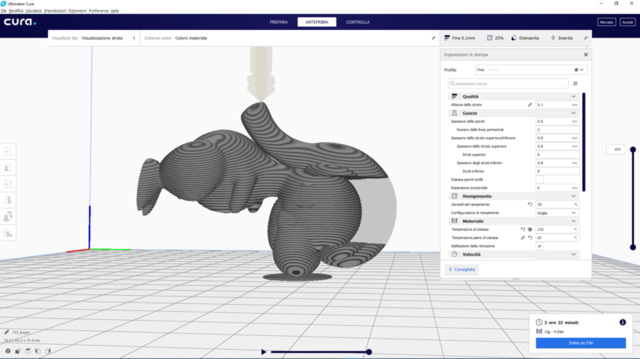 Hi, I tried to search on the internet for a solution to my problem, essentially I'm trying to prepare the print file of a 3D model. 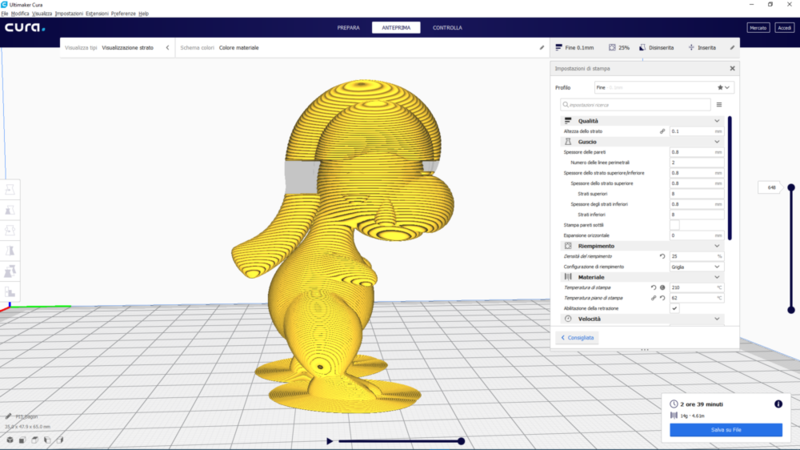 But when I preview the print in slice mode, there are parts missing. Hello @valely97, could you possible share the model, please? If so, please attach to this thread. Hi, here's the obj file I'm trying to use. 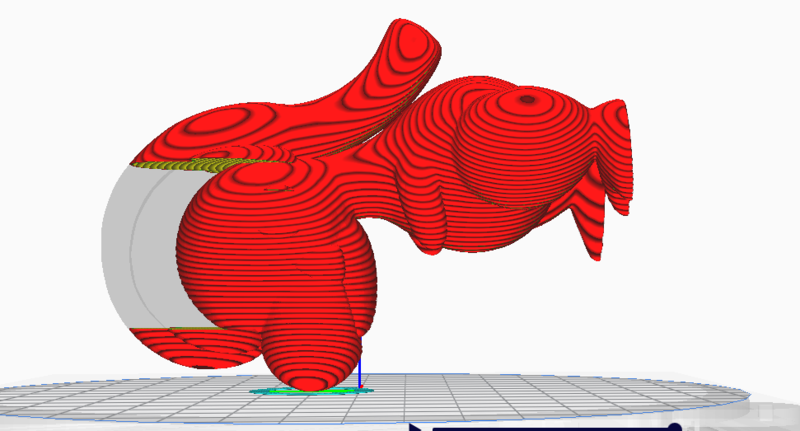 Hello @valely97, when I tried to load that model, Cura told me it was too small and nothing appeared on the build plate. Thanks for the 2nd file. It loaded but I get a warning about it not being watertight and it fails to slice correctly as you have found. mmhh, thanks for pointing it out, what is your suggestion to fix it? Sorry, I can't help you there but I'm sure that others can, perhaps @kmanstudios, can suggest a fix? Honestly, without knowing how it was made AND, knowing nothing about Cinema 4D, I am not sure how to advise you. I use a completely different set of programs. It slices fine in my UM3 printer definition as you can see here. 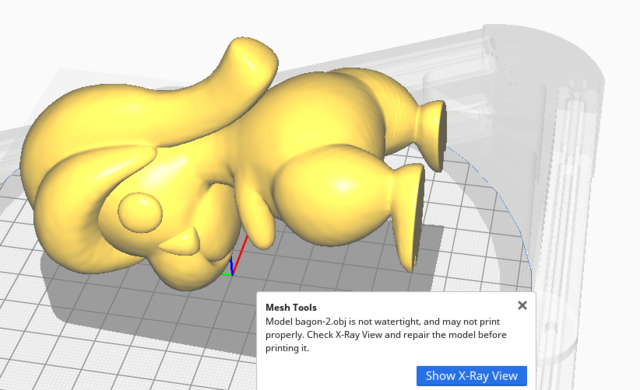 This created a lot of confusion for Cura as to where to 'cap' or 'bridge' whist trying to clean up the model. They would not union (boolean) properly in any program that is just mesh based. In the future, it would be best to make sure the parts are 'capped' so that the individual parts would operate properly. I took the easy way: I imported into a program that can work with 'voxels' and it just did the work just fine. Keep in mind that voxels and mesh are two different ways of dealing with models. Booleans in mesh is a real pain since they can create a lot of strange artifacts. However, booleans in voxels are blazingly fast and 'secure.' Voxels are volume based and when booleaned, they create a clean (superduper clean) outer volume that can then be exported into a mesh object. I could have reduced the polygons quite a bit more, but did not want to stray too far from your original model size. It really does not need so many polys since it is not really carrying much detail. 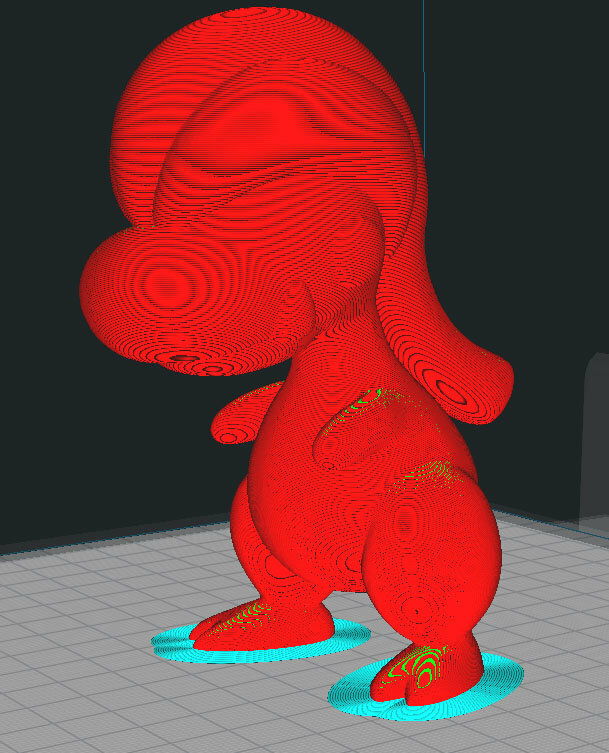 How you would go about fixing this in Cinema4D, I could not say. 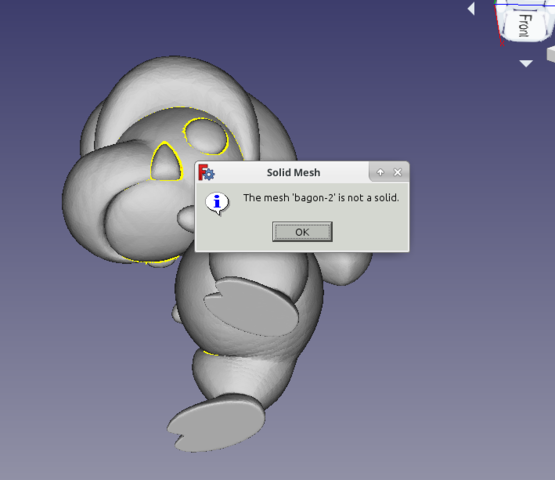 So, I hope the above information helps in the future for you as 'capping', booleans, and 2D shells are common concepts in all modern mesh based programs. the 3D models I'm trying to use are ripped directly from a game files, I take it on cinema 4d because I found it more compatible if the model is rigged and have animations, after that i transform all the mesh layer into one. I already done this with other 2 models and printed normally as I expected, maybe this was particular case. You are welcome. Keep in mind, even if getting the files elsewhere, the above are things to check. 3D rendering can overcome a multitude of sins since they can work with shells and 2D surfaces. And, games are more often than not just what amounts to 2D shells without any thickness to them. Also, many, many files are just not that good when you download them.